Warm and hazy. Just a hint of that sea breeze. 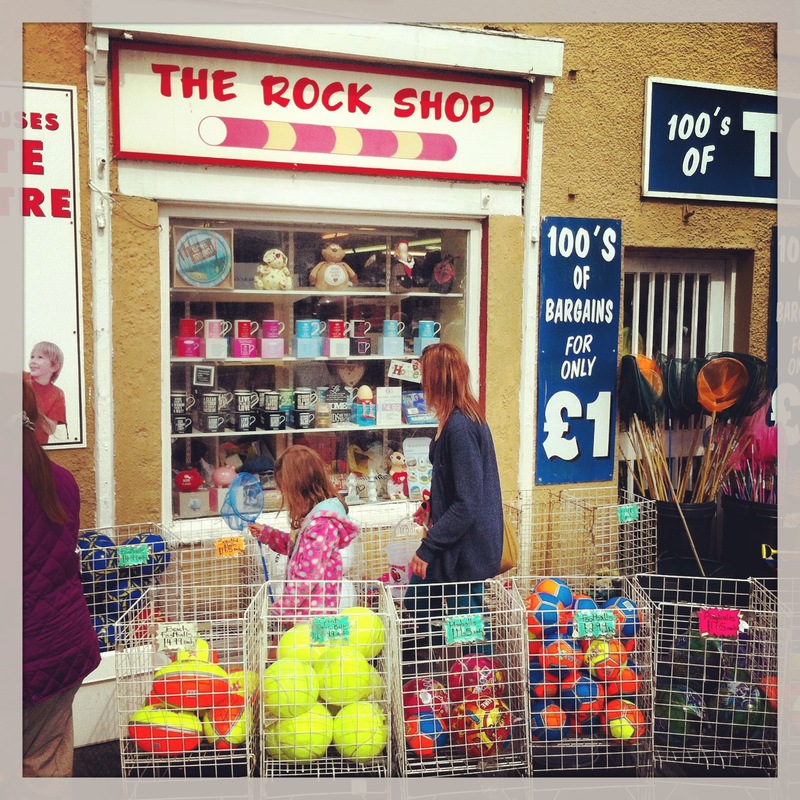 Gift shops with highly coloured buckets and spades. Fishing nets and footballs. Postcards and sticks of rock. 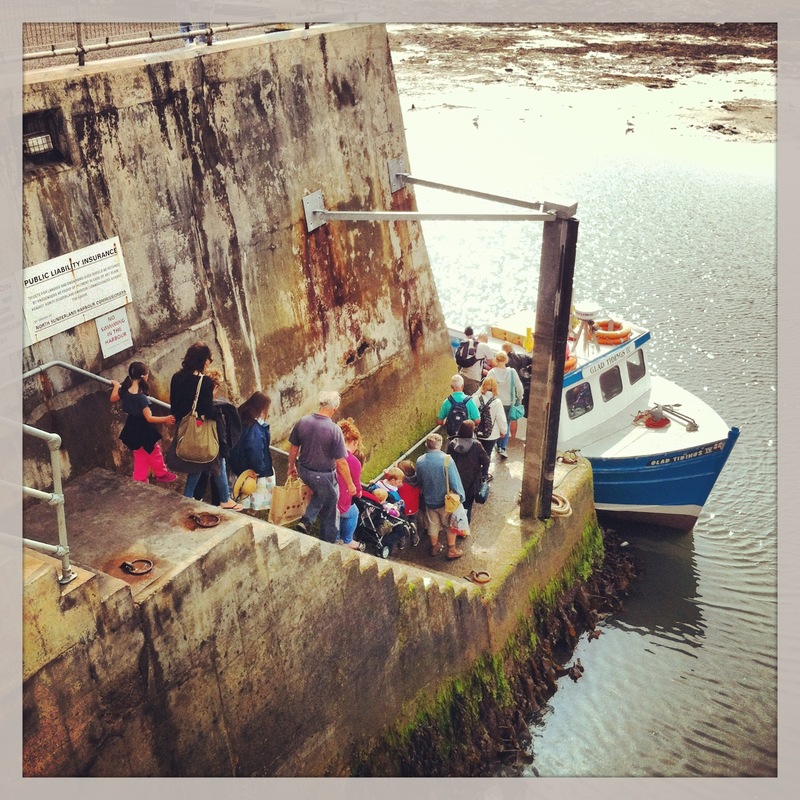 Seahouses is your quintessential British seaside town, where little seems to have changed for generations. 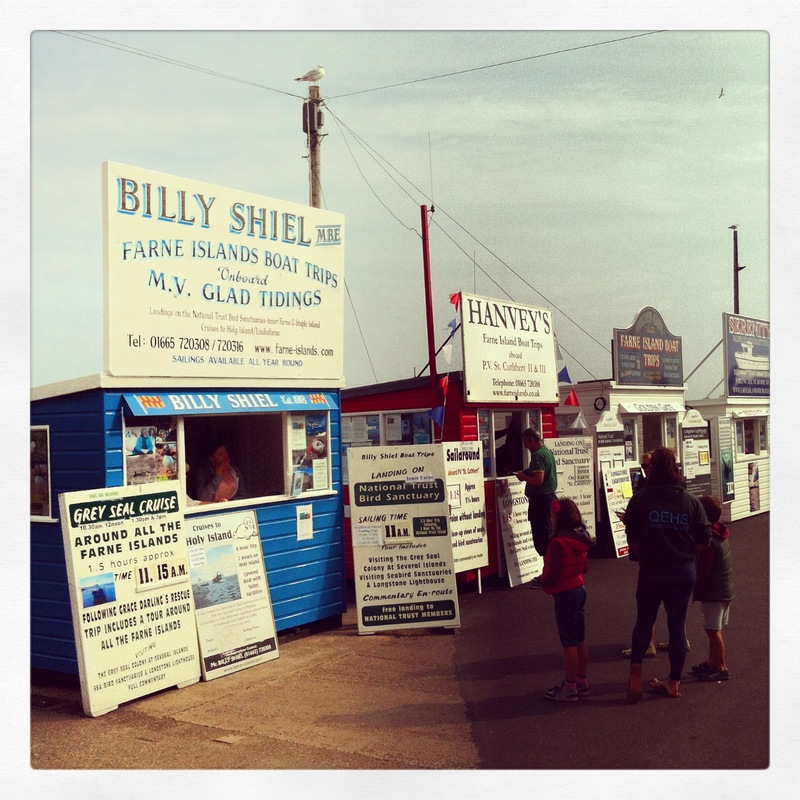 We wander past windows of cuddly puffins and seals, head down to the huts where companies offer trips to the Farne Islands. One of the boats is called St Cuthbert; it’s the first and only time I see his name here. But we’re going with another company and our boat leaves in five minutes. 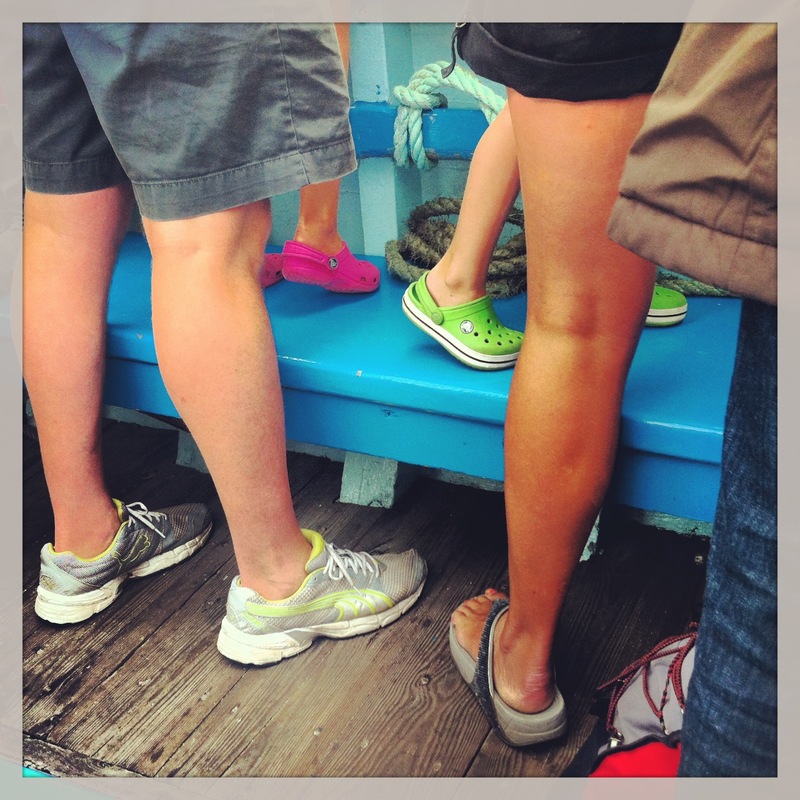 Off down the pier we run, to join the end of the queue. 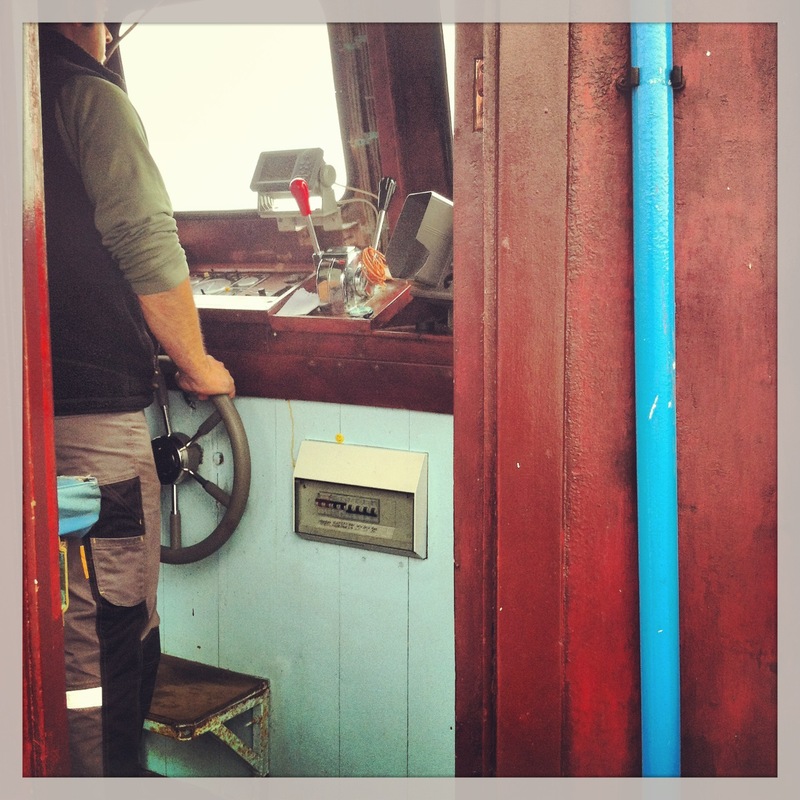 Glad Tidings IV is our boat, at the bottom of slippery steps, accessed via a helping hand from the skipper and his mate. A grumble of engine. Small vibrations through wooden plank seats. And we slide between two piers. Past floating sea monster seaweed tentacles and out into the North Sea, Bamburgh Castle just about visible through the mist. The skipper gives it more throttle. The boat picks up speed and rocks up and down. Kids squeal in delight and wonder if the sea will come splashing over the sides. 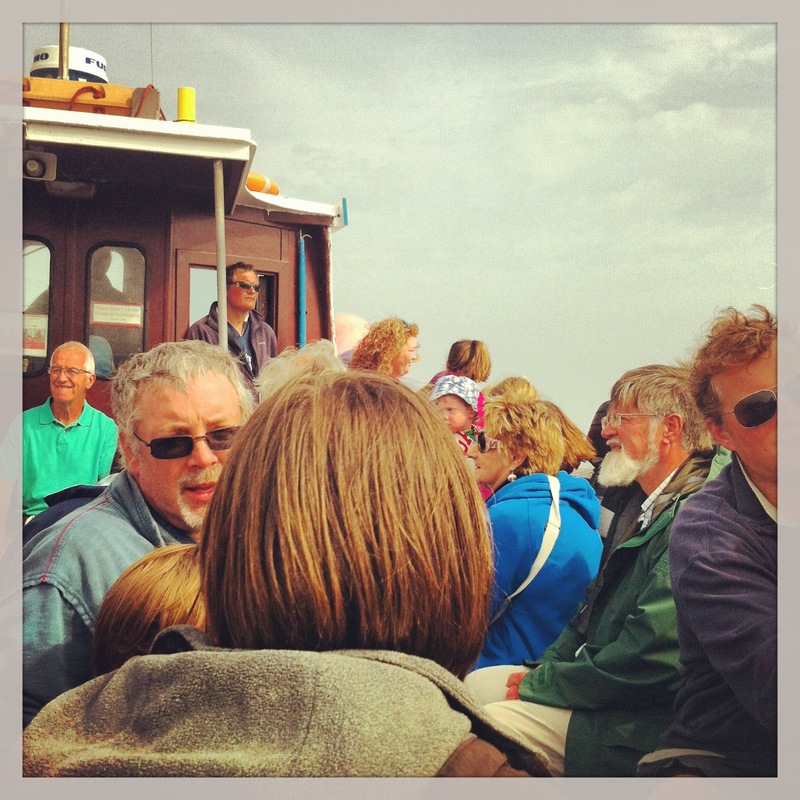 I look around and wonder if any of these people are pilgrims, off to see the island where Cuthbert longed to be, alone with his God, away from the temptations, trivialities and tortures of society. Or is everyone just here for puffins and seals? For the rolling ride? Without any knowledge of how the small island ahead was a sanctuary and hermitage for a man set to become the most powerful saint in these lands? Three gannets fly overhead and everyone gapes up at their impressive wingspan. The skipper picks them out for us as the mainland drifts away into what could be misty mountains or low settled clouds that dissolve and disappear. The rhythmic sway of the boat has a lovely calming effect as the islands come near. We must have taken a southerly course because Longstone Island arrives first and that’s the furthest away. We look out at kittiwakes and cormorants and then the skipper points out Grace Darling’s bedroom window in the striped lighthouse and tells how, along with her father, she rescued nine people from the sunken Forfarshire in the storms of September 1838. Then four years later, aged just twenty-six, she died of tuberculosis. 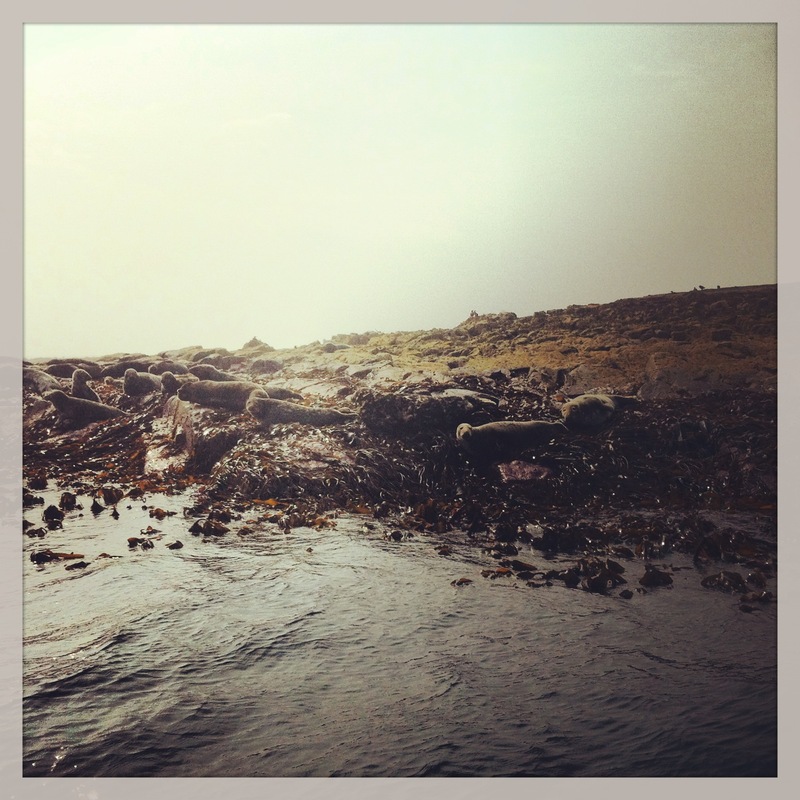 On we continue, murmur turning into ripple, then bursts of excitement as the seals are spotted, their velvet looking coats initially proving great camouflage. Most of them just lie there ignoring us, huddled together, scratching chins or clapping flippers. But no matter; the excitement continues unabated. And then a little one slides into the water for a closer look at us, prompting camera clicks and giddy children, before it tumbles down into the depths. Off to Staple Island to look at fulmar petrels, kittiwakes and shags. The puffins nest in the middle, the skipper tells us, in the peaty soil; up to forty thousand breeding pairs the last couple of years. We see one in the sea in front of us, a good spot at this time of year. It gives flight, skimming the surface, wings ten to the dozen. And then to Inner Farne, as I muse on the fact the skipper has told us nothing about Cuthbert, perhaps doesn’t even know anything. And people increasingly complain we should make more of St George’s Day, celebrate this Palestinian soldier in the Roman army, when we have our own saints that could still be relevant, even now, especially now, in this world of increasing pace and mass consumerism. The National Trust man tells me it’s not known where Cuthbert’s Cell was, though its presumed it’s where the Pele House stands, as there is a well underneath and the north side of the island is more sheltered. I wonder if Cuthbert would have built his cell at the sheltered side or if he would have wanted more of a test, and then I wander next door to the chapel, built in the 14th century and dedicated to him. Three others are chatting about Cuthbert and the Lindisfarne Gospels so I guess there must be others coming across for that reason too. 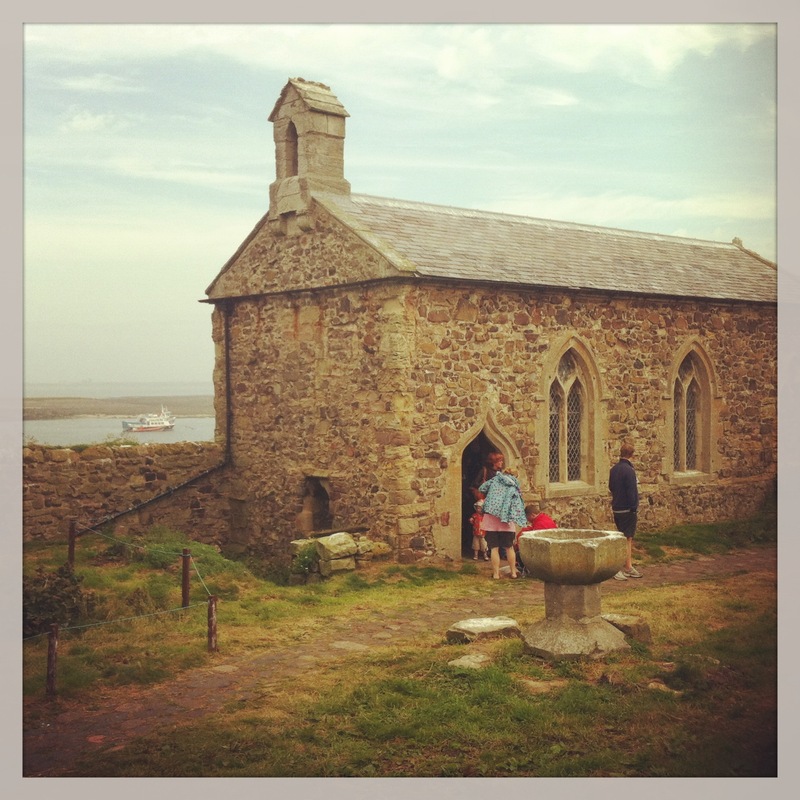 I resist the urge to jump into the conversation and spend some time with the stained glass windows of St Aidan, St Cuthbert and St Aethelwold the Hermit, who took up residence on Inner Farne after Cuthbert died there. Back out, I join my family who moved on before I did, to have our picnic in the shelter of the lighthouse. I eat my food standing at the cliff edge, the wind buffeting my hair, looking out to sea. Bamburgh Castle is visible two miles away, where the kings of Northumbria plotted their next moves in their bids for increasing power. They would come to Cuthbert with waves of guilt, seeking reassurance and blessing they would still enter the gates of heaven upon death. 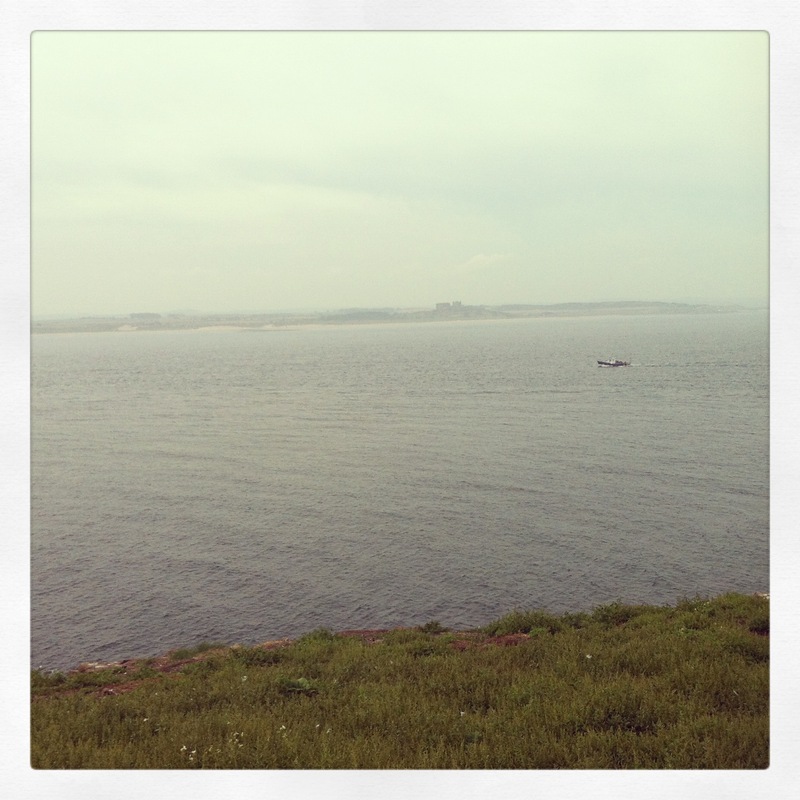 Lindisfarne, further away, cannot be seen. 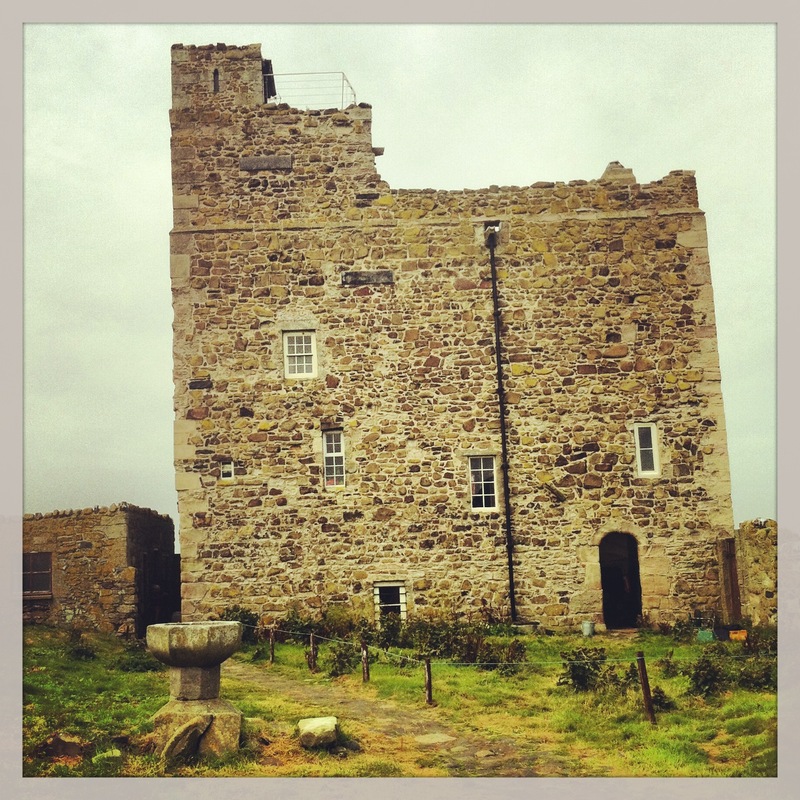 Cuthbert moved there when he was around thirty, running the monastery as prior for ten years before he felt the need to retreat here on Inner Farne. The people didn’t leave him alone though; they needed him too much. Out they came in boats, probably to the same sheltered sandy bay that we arrived in, to seek blessings and ask for guidance. Eventually Cuthbert was persuaded to leave this island, to become Bishop of Lindisfarne, but he came back here when he knew his time was coming to an end. A few months later, on the 20th March, 687, he passed away. 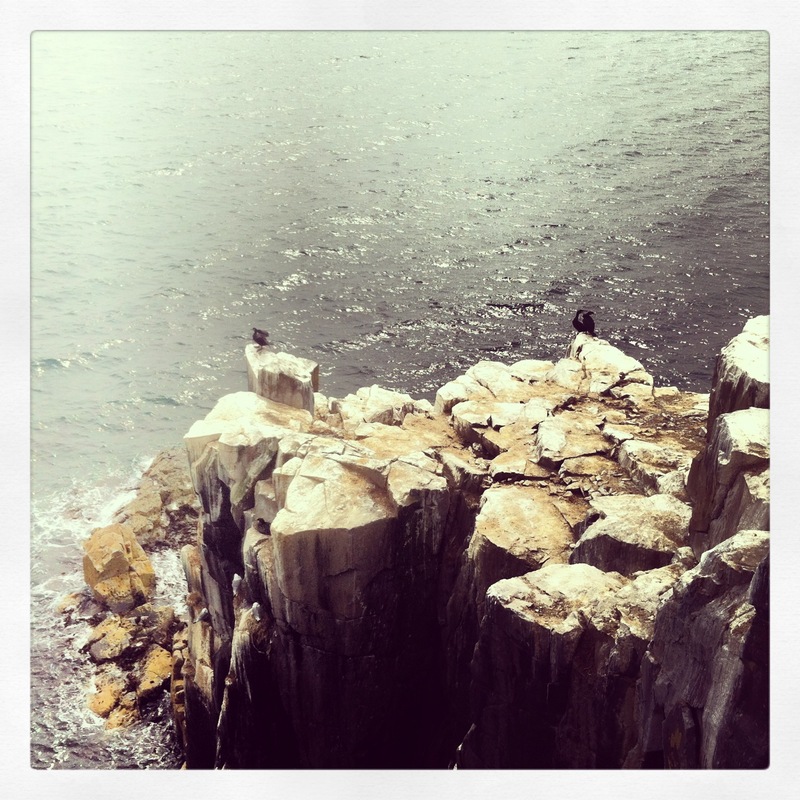 We finish our picnic and walk around the cliff edges, looking at and listening to noisy seabirds. And then we sit on the sandy bay and wait for our boat to come back. And then it’s time for a helping hand back onto the mainland – unfortunately. Anna’s the same as I am; always disappointed when our boat trip ends, always wanting more hours at sea, more time on the little island with a wonderful history and a peaceful atmosphere, even if you don’t know the stories. 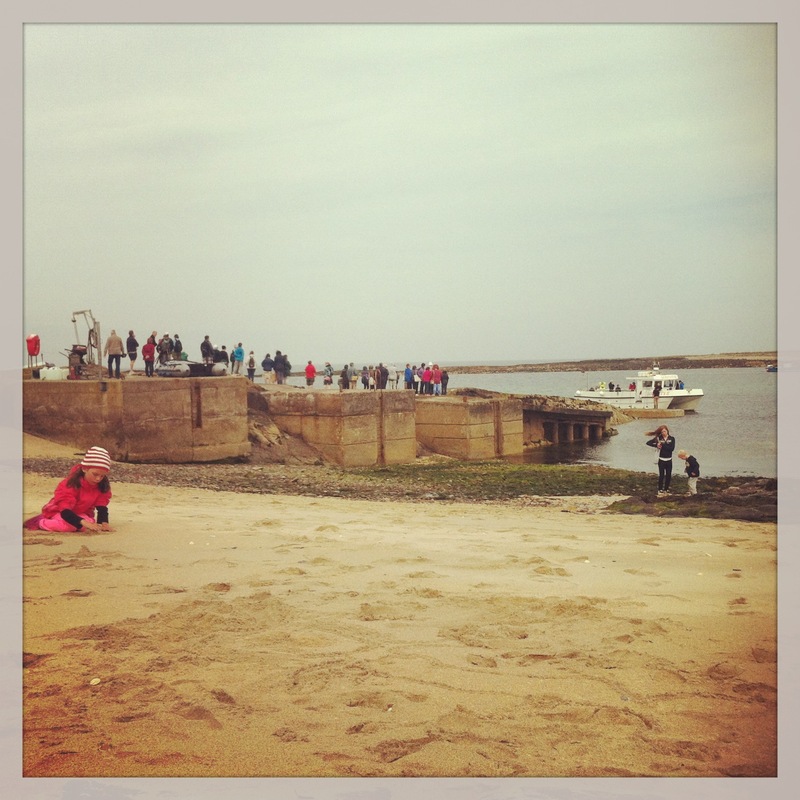 But our trip is over, and so we wander along the pier and back up to Seahouses again. The smell of fish and chips. The bustle of a seaside summer day. Twirling ice creams topped with monkeys blood. And the kids start hassling me to let them go inside the gift shops for a look around and a stick of rock. Do you not think you nailed it with ” We paid £44 for a family ticket and we also have to pay £13.50 to be able to walk on Inner Farne for an hour because it’s owned by The National Trust and we don’t have membership. 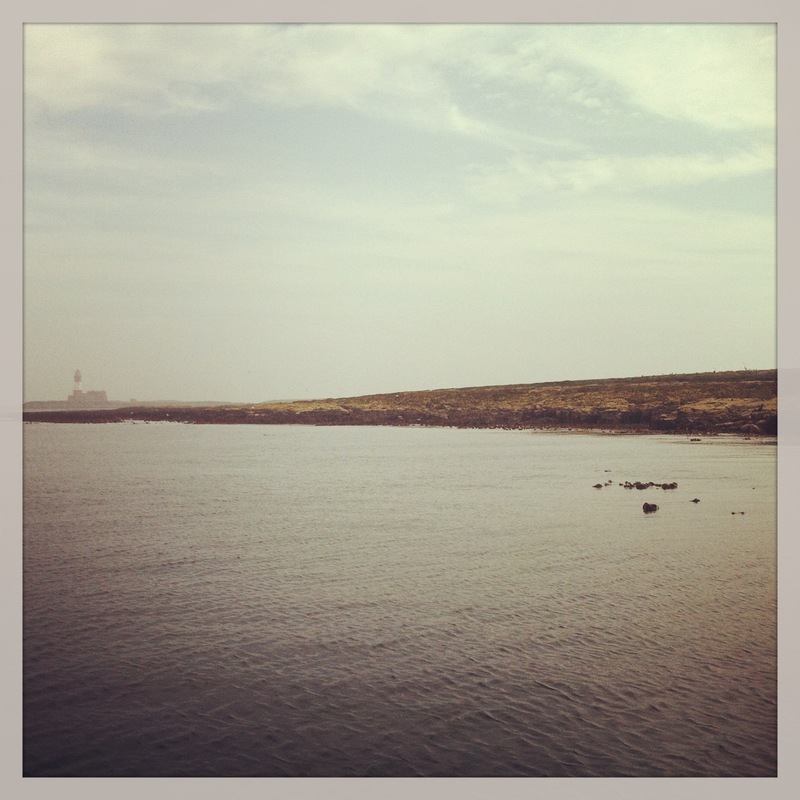 Reading about your trip to Inner Farne makes me want to revisit at some point. 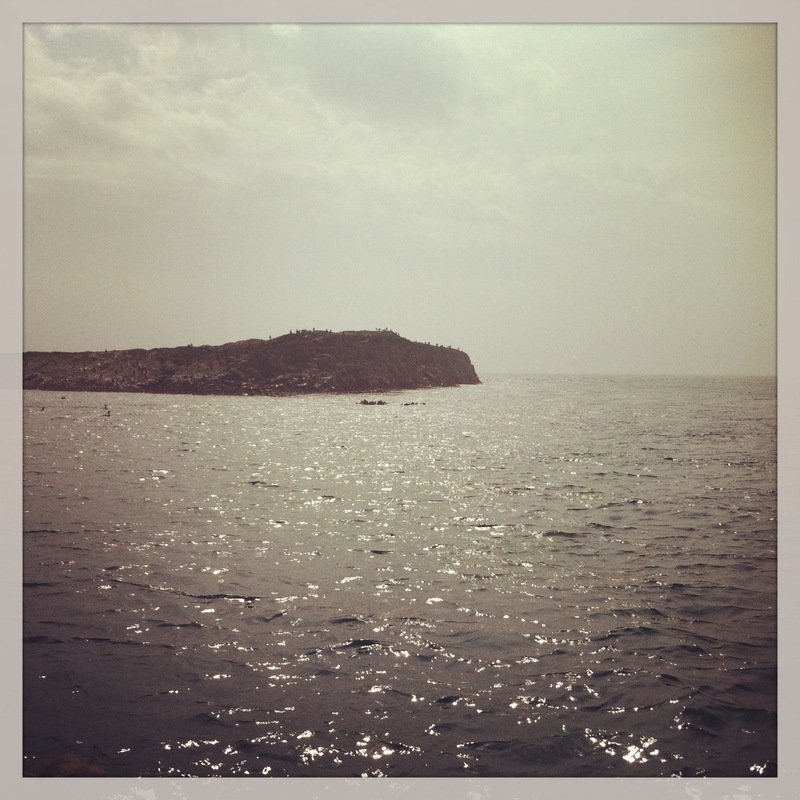 I love the sea, but not to be on it – I’m happy to be like Nelson, a non-swimmer. But I will make that trip once more and spend time in the chapel. I’m not quite sure what you mean,growlygrace. I think the price is rather expensive but I’m happy to pay it because I think it’s worthwhile, plus the National Trust do good offers, whereby if you join on the island you get 13 pounds off the membership AND your 13.50 back, even if you make your decision after being on the island an hour. If it’s a choice of boat or plane, I’d pick boat every time. I think plane journeys are the most boring in the world. I don’t get sea sick, I’m just not confident on a boat. Sorry Richard it’s just my clumsy writing. 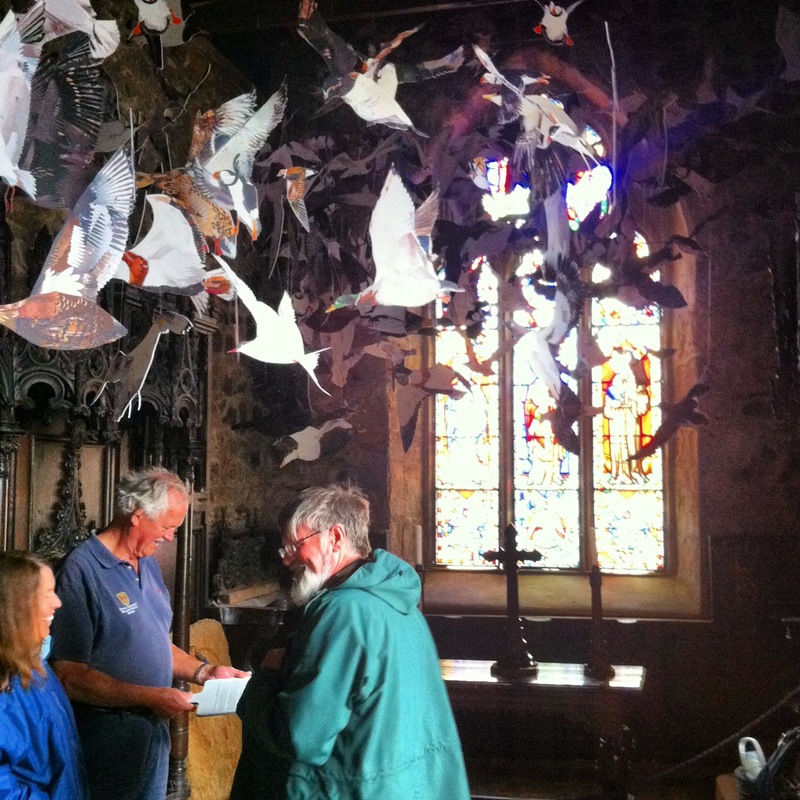 This entry was posted on August 25, 2013 by richardwhardwick2013 in Blogs by Richard W Hardwick, Lindisfarne and tagged inner farne, lindisfarne, lindisfarne gospels, seahouses, st aidan, st cuthbert.